and shared the stage with bands like Sardonica, The Cryptkeeper Five and Blitzkid. But that's not all: Robby kept busy working on a new album which was released in year 2012. 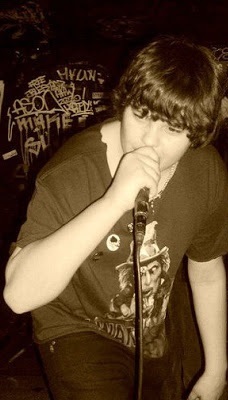 This guy has come a long way in New Jersey punk scene since it began in 2009. Reason enough for us to believe in the future of this teen monster! Erik: First, tell us a little about yourself, how you met the Horror Punk? Rob: I met horror punk when I first saw Danzig with Doyle in 2005 with Doyle. I instantly needed some more fast catchy punk. Erik: Where did the idea to start a band? 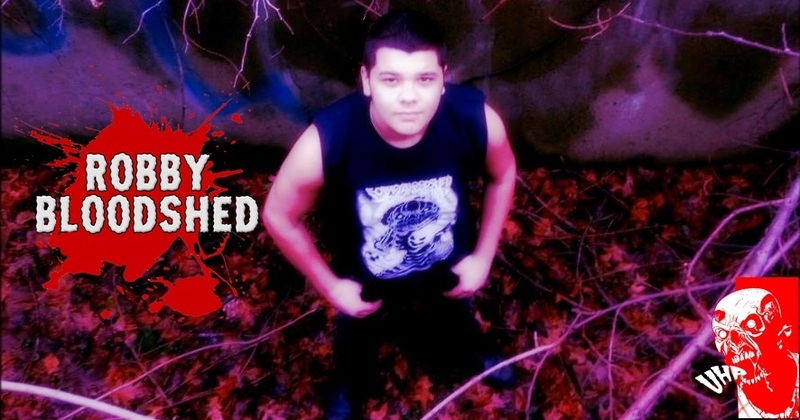 Rob: Back in 2010 I officially started Robby Bloodshed . I had 2 old band members help me play a whole bunch of live shows because I had a whole bunch of songs written. Erik: What were and are your inspirations? Rob: My inspirations are Glenn-era Misfits, Blitzkid, a lot a lot of 90s Alternative, Metallica, Rosemary's Babies and many more. Erik: As has been playing alongside bands like "Blitzkid, Dr. Chud, Darrow Chemical Company ... "
Rob: It has been an honor playing along with those bands, they are some of my biggest inspirtations. Erik: Are you the main songwriter or other people are involved? Erik: How is the musical scene of "New Jersey"? 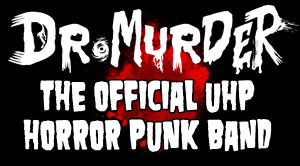 Erik: What do you think of Horror Punk now? Rob: I still love it. Lately though, I haven't been impressed with many bands. Of course there are some I still love and appreciate. Vagora, The Undead, Ripsnorter are some great bands. we'll be young the future of Horror, what do you think? Rob: I take it as a huge compliment that people say I'm the future of horror punk. It means the world. I hope I am, I put my all into my songs. Erik: Are you planning something for the future, something launch, new tour? Rob: Yeup! I have a birthday show lined up and I'm playing it along with Darrow Chemical Company and Bad Whoremoans. Also, I plan to release a new full length album with all new original songs! Erik: You'd like to play in South America and Brazil? Rob: I would love to one day! Erik: I've seen here, you is good people! How is your relationship with the fans? Rob: Thank you man. I feel its pretty good, I try to thank and talk to my fans as much as possible. It means the world to me that they like what I'm playing. I couldn't ask for more. Erik: Tell us a bit about your latest album "Robby Bloodshed - 2012"
Rob: That was my first time recording a full length. It was fun. I am looking only forward though, my next full length is going to blow that out of the water. page and to his fans worldwide. Rob: Thank you so much for this interview! You guys rule! Make sure to check out my facebook and whatnot! I have some shows coming up and new releases soon! Thanks Rob, it was a great interview, I hope one day we met personally !! !